Ephesians 6:13, says that we need the “full armor of God” in order to “resist” the evil one. James also uses the idea of resistance when he says, “Submit yourselves therefore to God. Resist the Devil, and he will flee from you” (James 4:7). So, submission and resistance are two opposites. We are not to resist God, but rather we are to submit to Him. The immediate preceding verse explains why. It says, “But He gives more grace.” He is a gracious God and calls us to humble ourselves to Him and He will meet all our needs. God always has our best interests foremost in mind regardless of our circumstances in life. He is always gracious and loving towards us. God is always good! All the time, God is good! He will take care of us amidst all the battles of life. We must surrender! 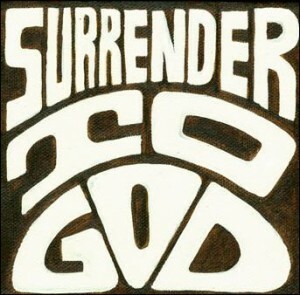 Throw ourselves to the ground before God in complete surrender. The rest of verse 6 says, “God opposes the proud, but gives grace to the humble.” This is truly telling in its context. Satan’s sin was pride. Opposing Satan is opposing his prideful spirit. As he addressed Adam & Eve, he addresses us to doubt God’s good intentions, to think we can do it without God. Humility empties self of self-sufficient independence from God. Humility places self under God. We’ll never be able to resist the devil if we haven’t first submitted to God. They are opposite sides of the same coin. The word “submit” was a military term. James puts his language in terms of warfare. We are at war with the devil. A humble person submits to his Commander-in-Chief. By giving allegiance to the Lord, the devil will flee from us.